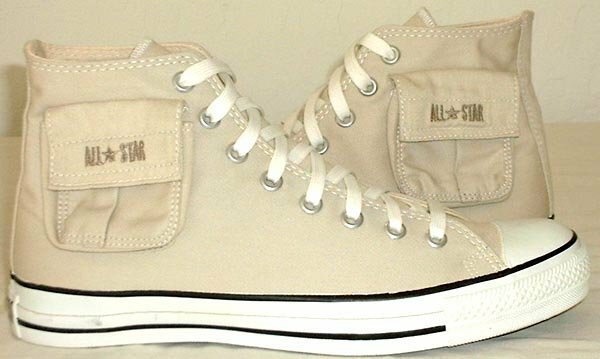 Photo gallery of cargo chucks, high tops with pocket compartments. 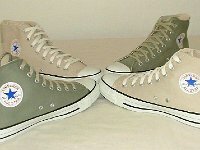 1 Cargo High Top Chucks Olive green and khaki cargo high tops, side pocket view. 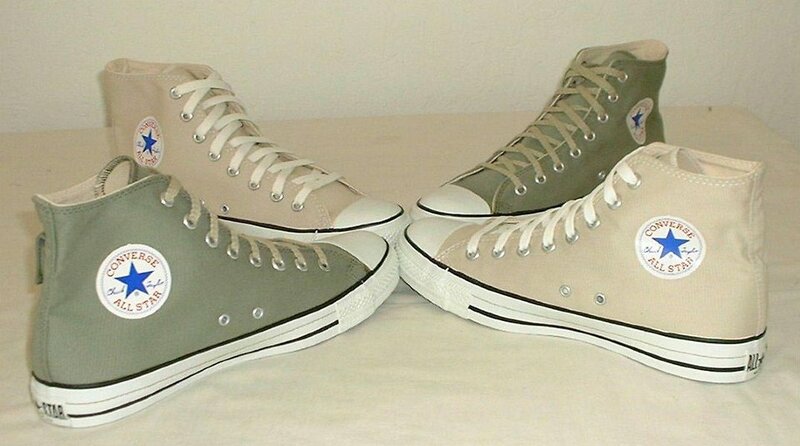 2 Cargo High Top Chucks Olive green and khaki cargo high tops, inside logo view. 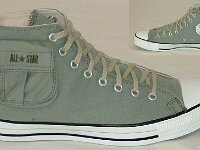 3 Cargo High Top Chucks Khaki cargo high tops, side views. 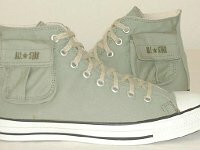 4 Cargo High Top Chucks Khaki cargo high tops, top view. 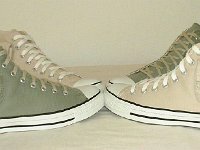 5 Cargo High Top Chucks Left khaki cargo high top, outside pocket view. 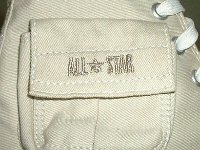 6 Cargo High Top Chucks Left khaki cargo high top, inside logo view. 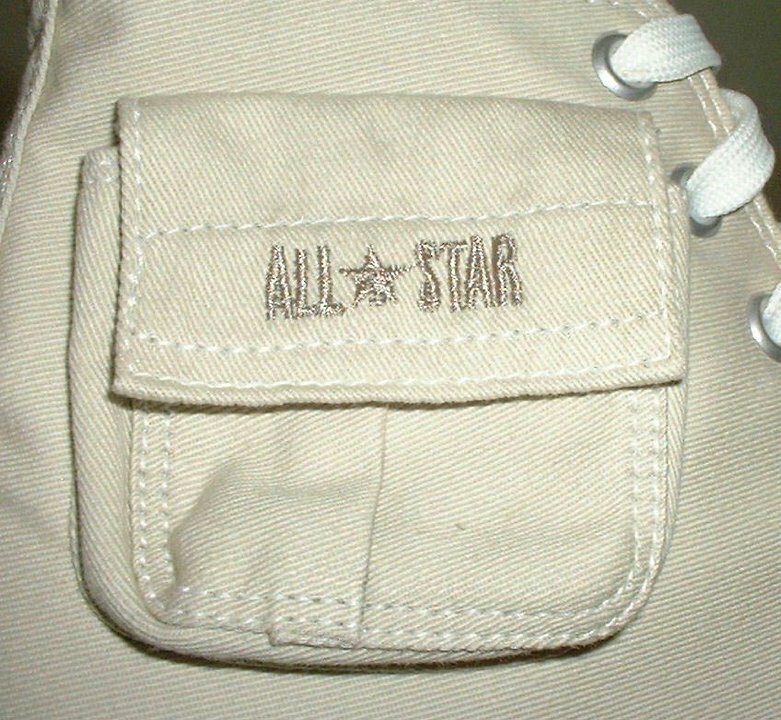 7 Cargo High Top Chucks Right khaki cargo high top, inside logo view. 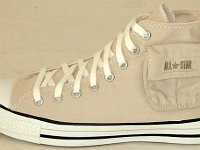 8 Cargo High Top Chucks Right khaki cargo high top, outside pocket view. 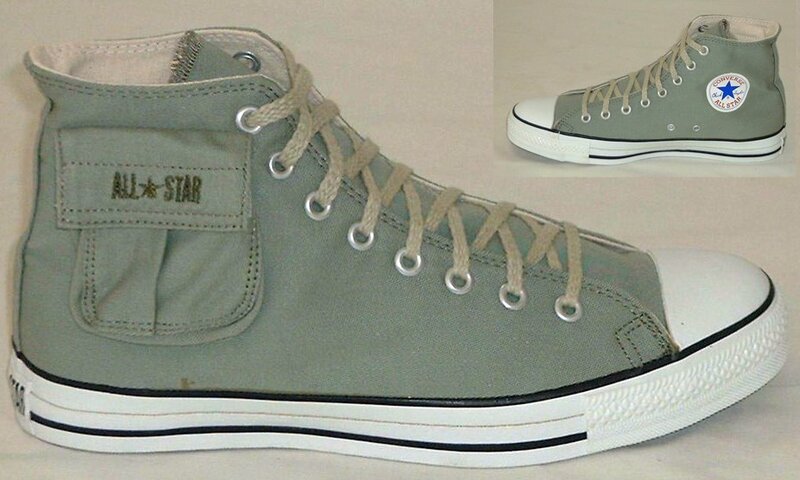 9 Cargo High Top Chucks Khaki cargo high tops, front and top view. 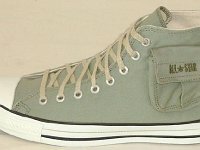 10 Cargo High Top Chucks Khaki cargo high tops, angled front view. 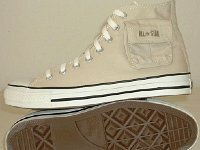 11 Cargo High Top Chucks Khaki cargo high tops, Chuck Taylor logo side view. 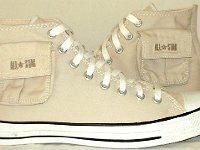 12 Cargo High Top Chucks Khaki cargo high tops, outside pocket view. 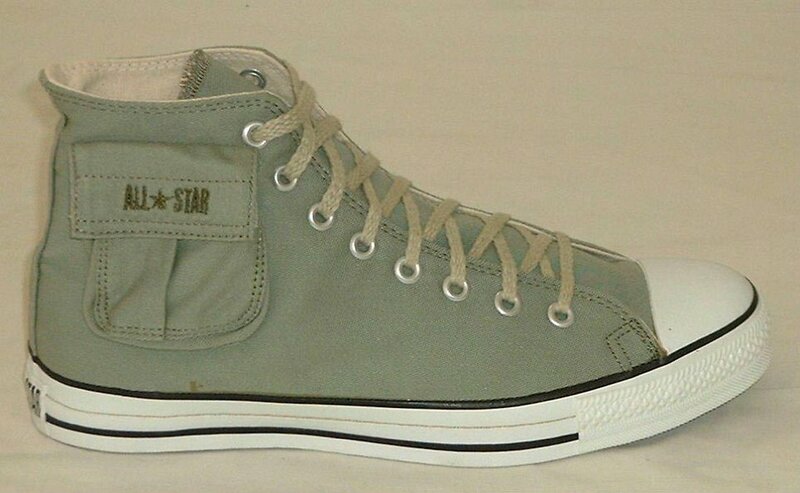 13 Cargo High Top Chucks Khaki cargo high tops, left side pocket and right sole view. 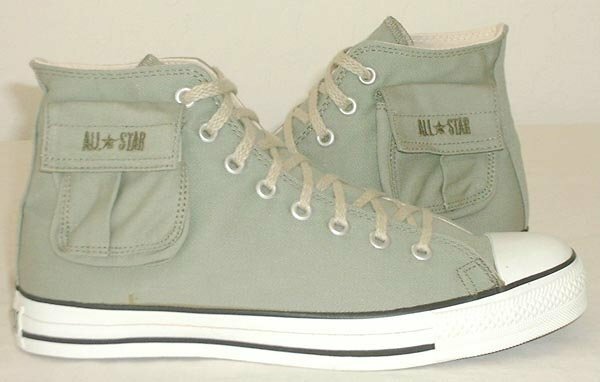 14 Cargo High Top Chucks Khaki cargo high tops, Chuck Taylor logo and sole views. 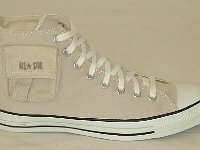 15 Cargo High Top Chucks Khaki cargo high top, rear view. 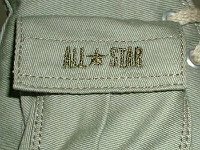 16 Cargo High Top Chucks Close up of the Chuck Taylor logo side patch from a khaki cargo high top. 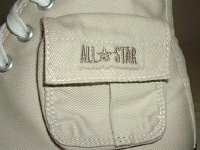 17 Cargo High Top Chucks Close up of a khaki cargo pocket, right shoe. 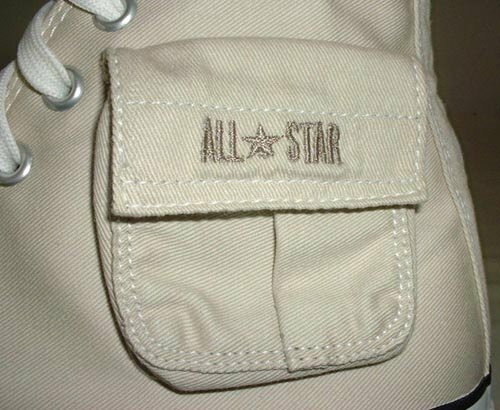 18 Cargo High Top Chucks Close up of a khaki cargo pocket, left shoe. 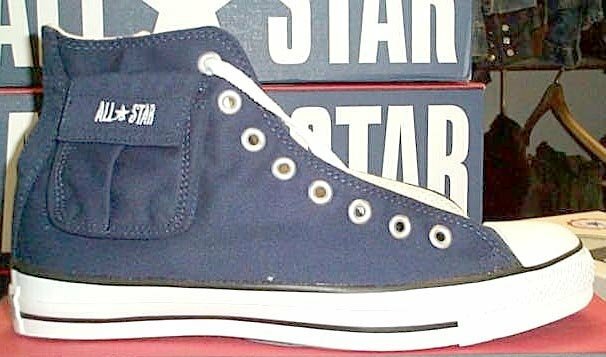 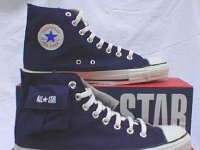 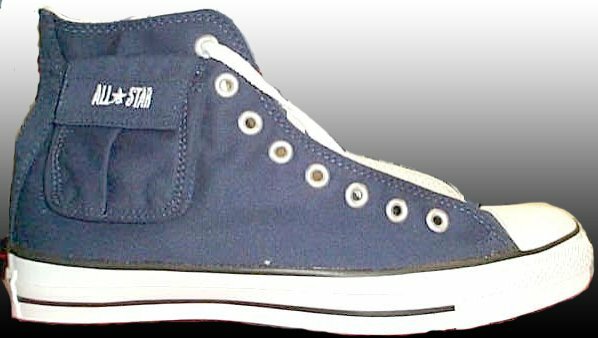 19 Cargo High Top Chucks Navy blue cargo high top, side views. 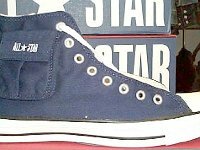 20 Cargo High Top Chucks Navy blue cargo high tops, top view. 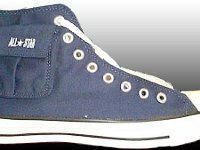 21 Cargo High Top Chucks Navy blue cargo high top, right side pocket view. 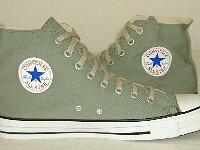 22 Cargo High Top Chucks Olive cargo high tops, side views. 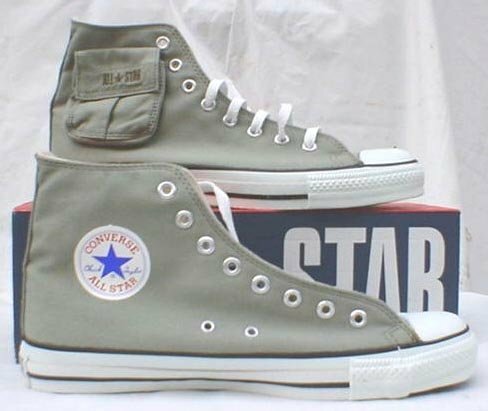 23 Cargo High Top Chucks Olive green cargo high tops, top view. 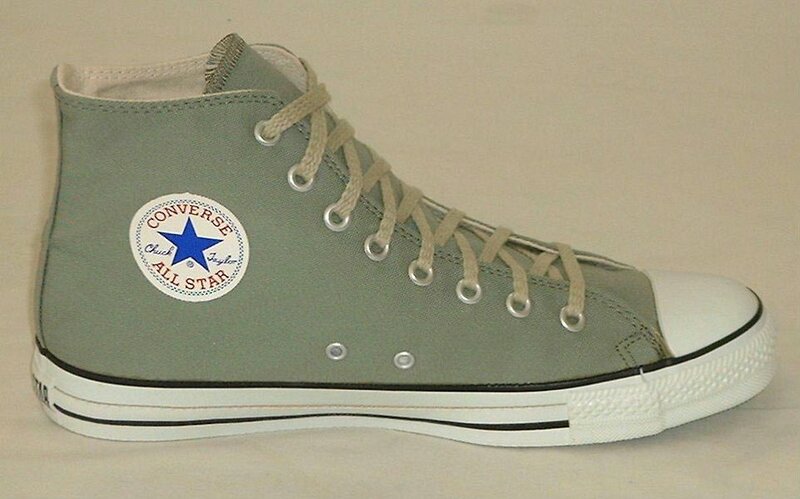 24 Cargo High Top Chucks Left olive green cargo high top with hemp laces, side pocket view. 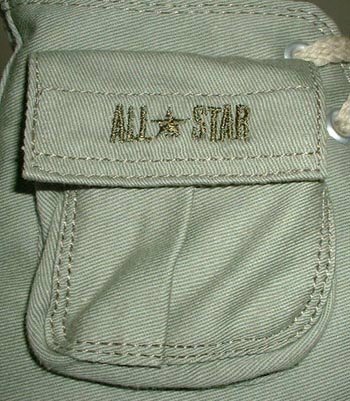 25 Cargo High Top Chucks Olive green cargo high top, inside logo view. 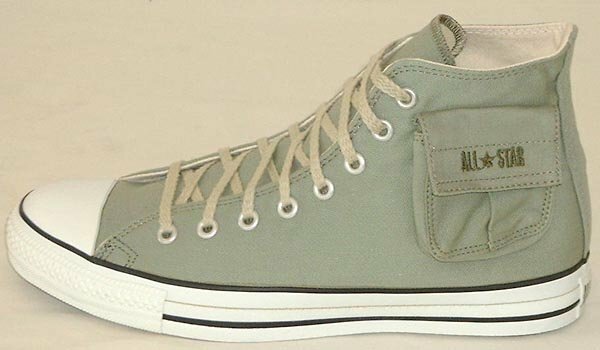 26 Cargo High Top Chucks Right olive green cargo high top, inside logo view. 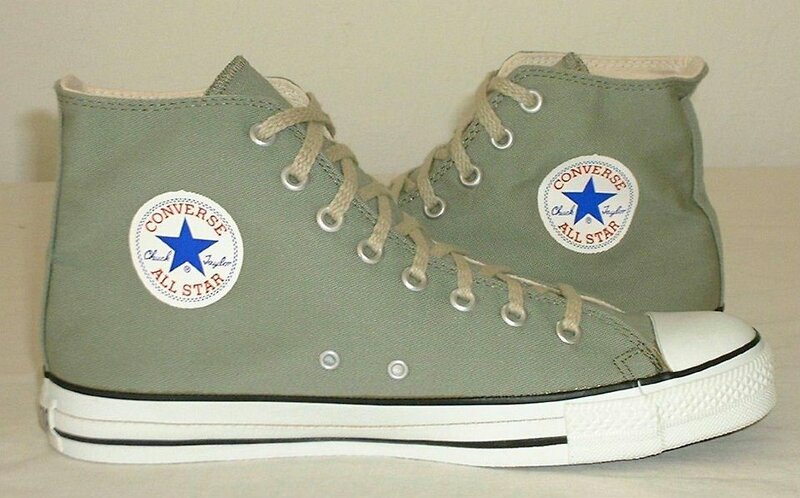 27 Cargo High Top Chucks Right olive green cargo high top, side pocket view. 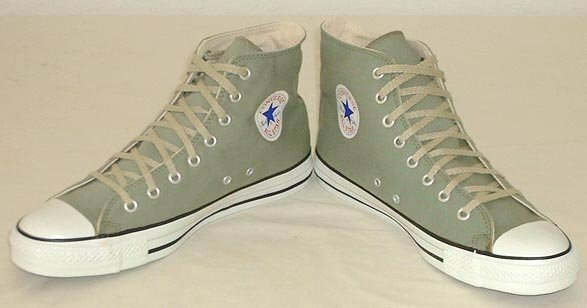 28 Cargo High Top Chucks Olive green cargo high tops, top view. 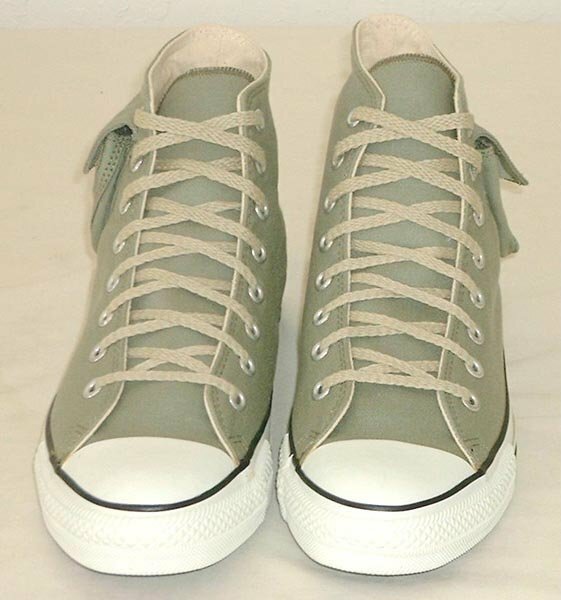 29 Cargo High Top Chucks Olive green cargo high tops with hemp laces, angled front view. 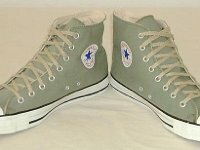 30 Cargo High Top Chucks Olive green cargo high tops, side pocket views. 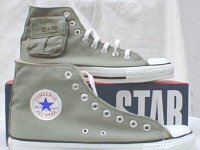 31 Cargo High Top Chucks Olive green cargo high tops, inside views showing Chuck Taylor logo. 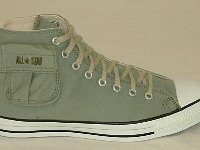 32 Cargo High Top Chucks Olive green cargo high tops, right outside pocket and left sole view. 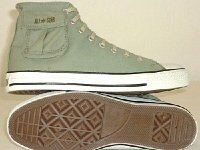 33 Cargo High Top Chucks Olive green cargo high tops, right inside view and left sole view. 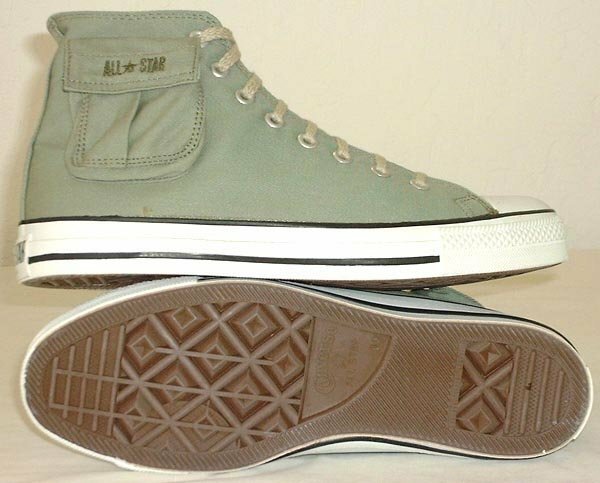 34 Cargo High Top Chucks Olive green cargo high top, rear heel patch view. 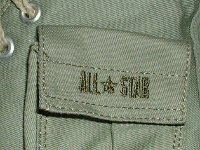 35 Cargo High Top Chucks Close up of a Chuck Taylor side patch on an olive green cargo high top. 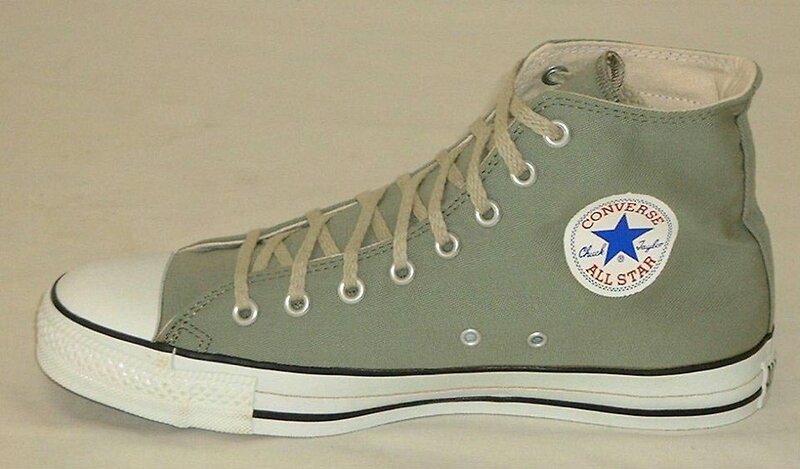 36 Cargo High Top Chucks Close up of a left side pocket on an olive green cargo high top. 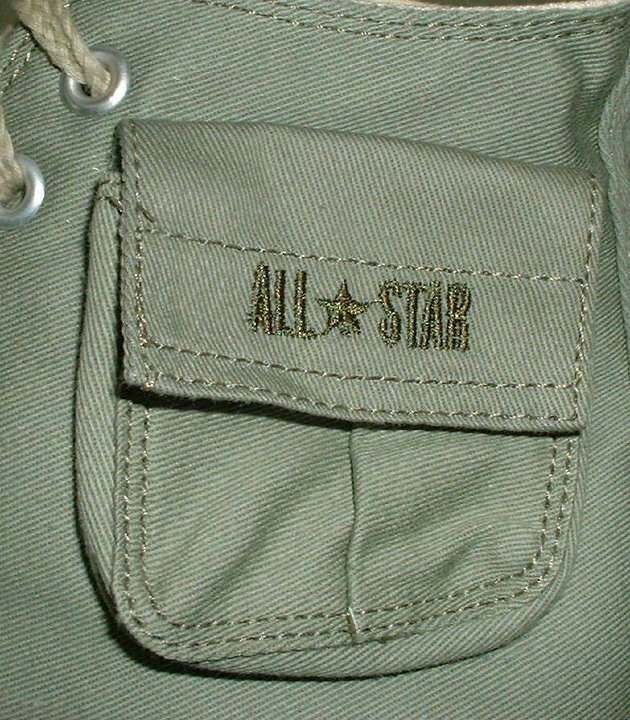 37 Cargo High Top Chucks Close up of a right side pocket on an olive green cargo high top. 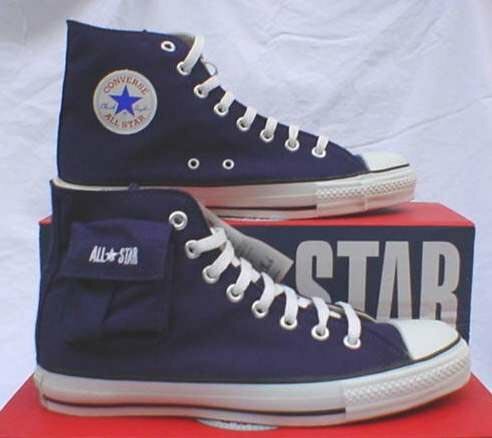 38 Cargo High Top Chucks Outside view of a right navy blue cargo chuck. 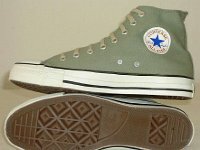 39 Cargo High Top Chucks Outside and inset patch view of olive green cargo chucks. 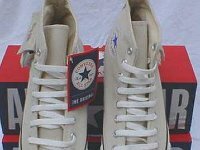 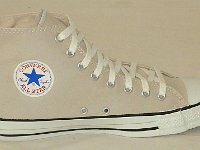 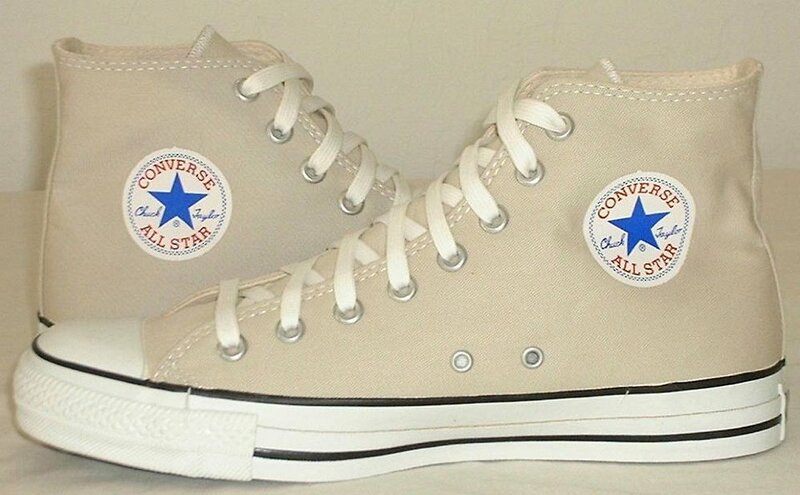 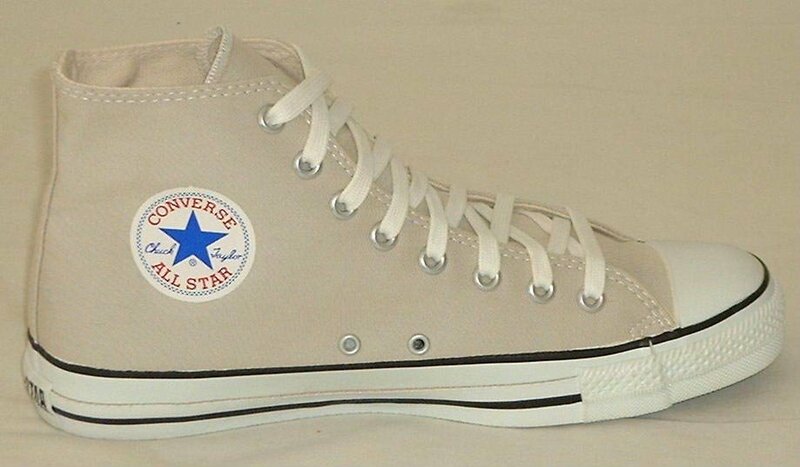 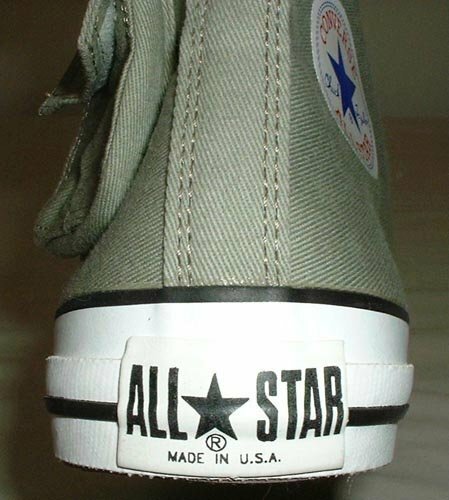 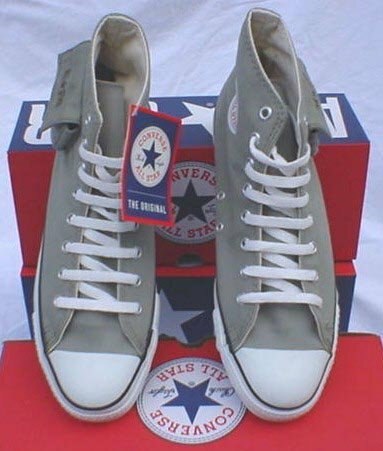 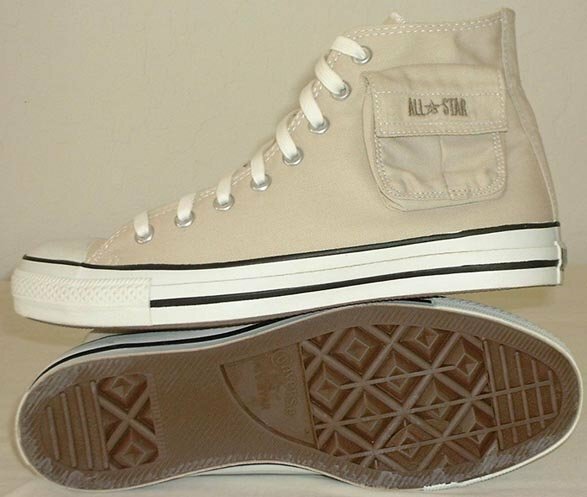 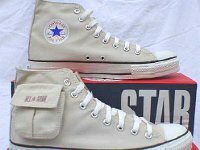 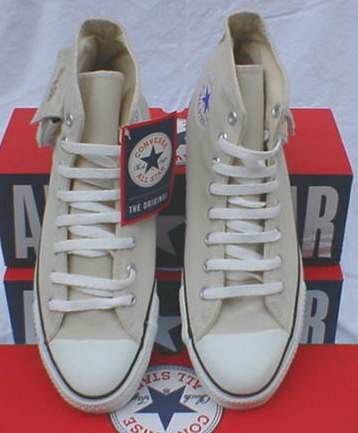 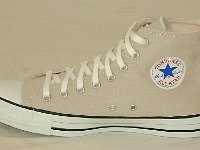 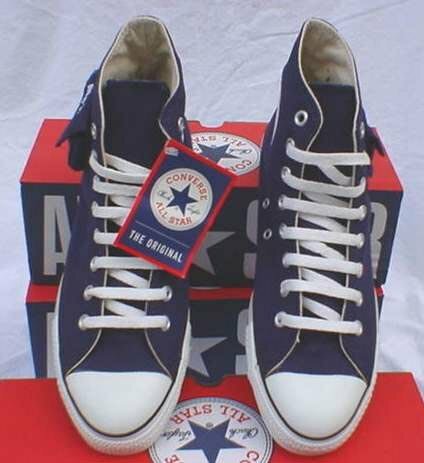 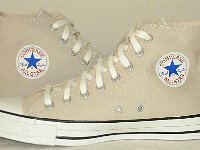 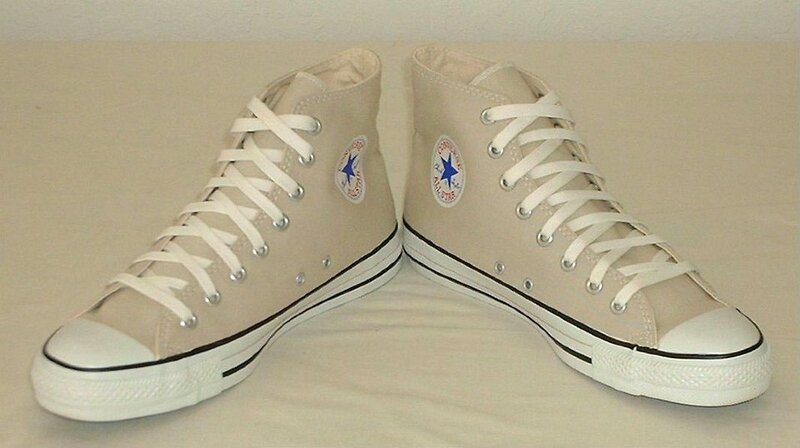 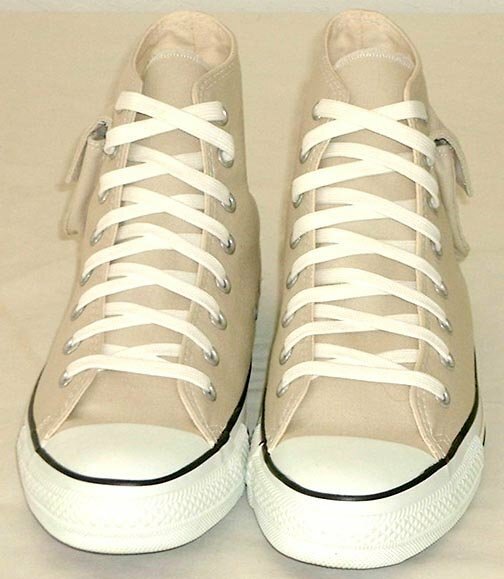 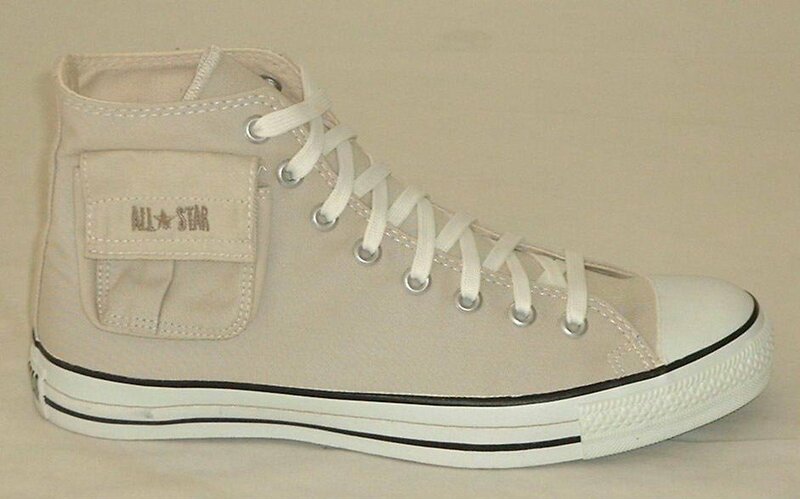 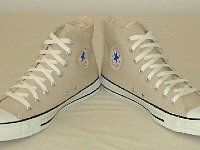 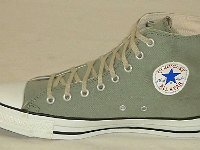 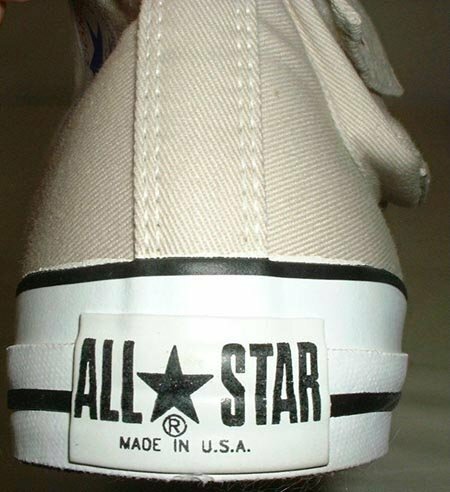 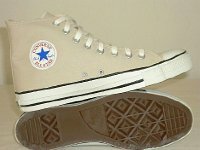 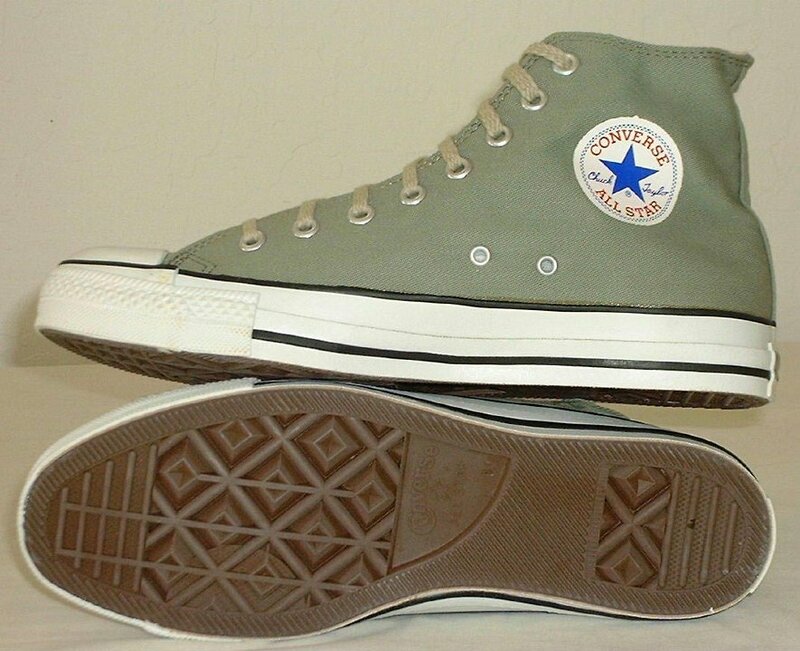 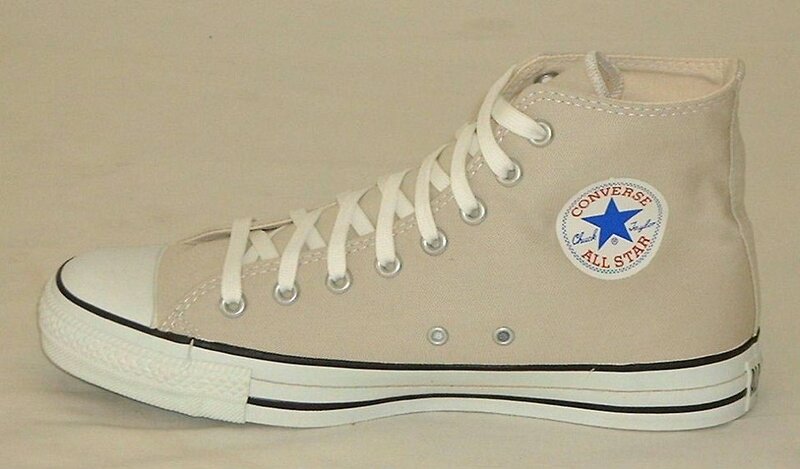 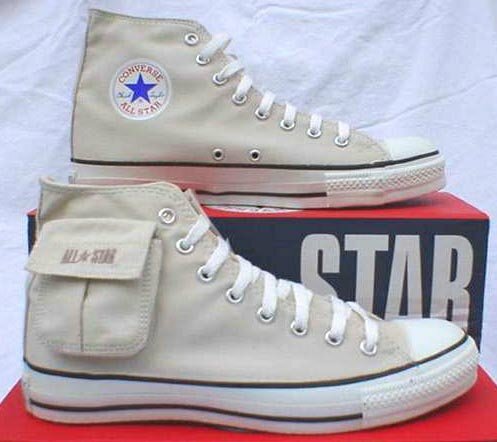 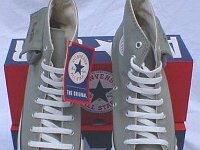 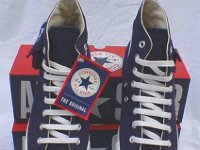 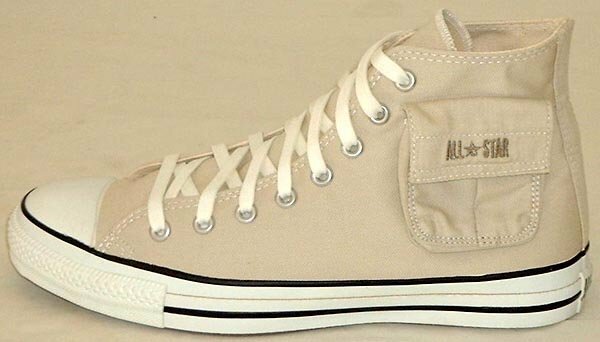 Cargo chucks were manufactured briefly in the USA in the late nineties. 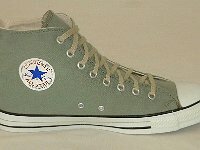 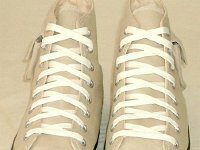 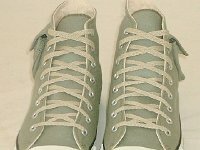 They came in three colors: khaki, olive, and navy blue and had a velcro enclosed pocket on the outside of each shoe. 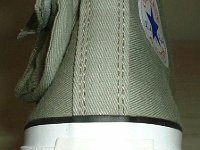 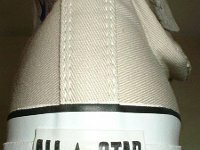 Cargo high tops are not currently being manufactured.